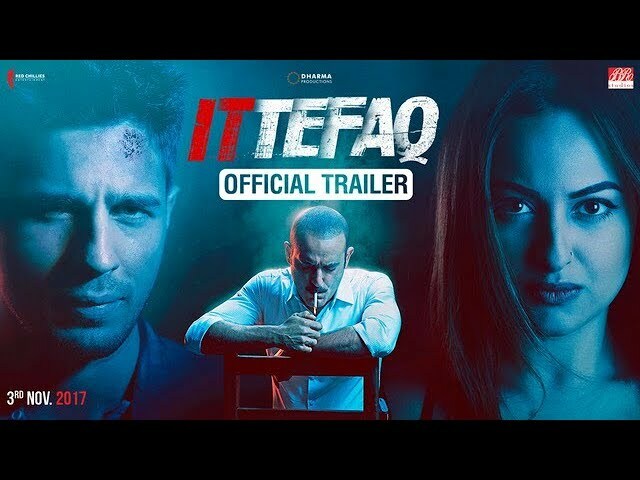 The trailer of Ittefaq starring Sidharth Malhotra, Sonakshi Sinha and Akshayye Khanna has been released. The movie is a remake of cult classic Ittefaq which was released in 1969. The original movie was directed by Yash Chopra and produced by B R Chopra. It starred Rajesh Khanna, Nanda and Bindu in the lead roles. Now, the nephew of Yash Chopra is coming with the remake and we must say that the trailer has impressed us. The basic plotline of the remake will be the same but the climax will be different from that of the original. The movie has an intriguing plotline. Dev (Akshaye Khanna), a police officer, is investigating a double murder case that has only two witnesses, who are also the prime suspects. The suspects – Vikram (Siddharth Malhotra), an acclaimed writer, and Maya (Sonakshi Sinha), a young homemaker, have different narratives about the events of that fateful night. Both the stories seem true but there can be only one truth. Dev is torn between the two versions of the story, and will not settle till he finds out what happened that night. What impressed us the most is the background score and Akshayye Khanna’s poise as a sincere police officer. 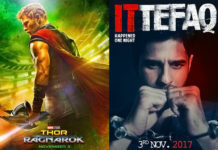 Sidharth and Sonakshi are also looking confident in their respective roles. Produced by Dharma Productions and Red Chillies Entertainment, the movie will hit the theatres on 3 Nov 2017. How excited are you for this remake? Share your views with us in the comments section.